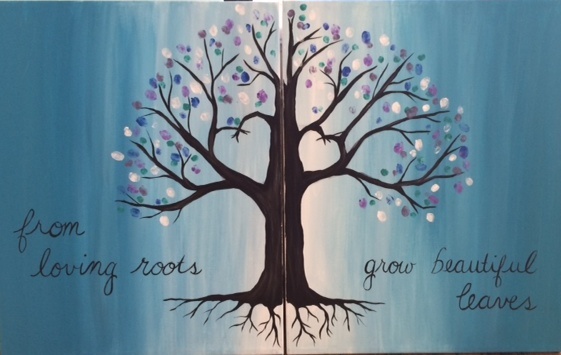 Join us for this “From Loving Roots” date night painting! Perfect Valentines activity! You paint one half, your date paints the other, to form one painting! Have your children and family use their fingerprints to fill the tree full of leaves! Level of Difficulty: Easy!